Comrade Corbyn was noticeable by his absence yesterday when London’s new Mayor, Sadiq Khan joined the Chameleon on a platform in support of the proposition that lawful sovereign government of this nation should NOT be restored. The one thing the world knows about Comrade Corbyn is that he is a man who likes to proclaim that which he believes in. And we all know that Comrade Corbyn does not believe in the EU. 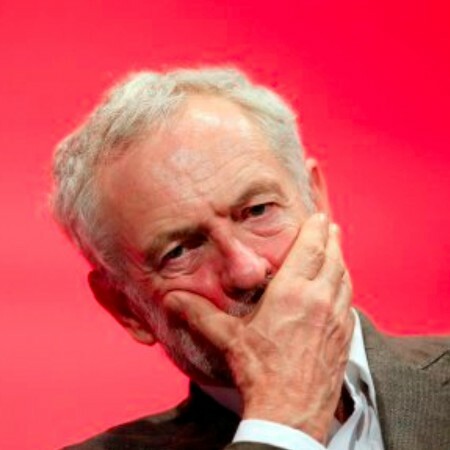 However Comrade Corbyn has been contemplating where his interests and those of the Labour Party lie. He knows that a vote for Brexit will result in a Tory leadership election as the Chameleon will most publicly fall on his sword on the steps of 10 Downing Street on Midsummer’s Day morning. He knows a victory for Brexit will mean Mr Johnson in Number 10 and a new set of negotiations with the EU. That this will result in a substantial offer being put by Frau Merkel and Herr Wolfgang Schäuble to Mr Johnson - who will return to hold a second referendum! This time the Tories will be united as the new deal will involve treaty change! The Tories will campaign for acceptance of the deal which would mean remaining in the EU. This will cut a lot of ground from under UKIP’s feet plus a united (more or less) Tory party in 2020 and therefore little chance for Labour! On this basis then, political logic demonstrates that Comrade Corbyn should enthusiastically participate in the Remain campaign. However, Comrade Corbyn is a deeply principled man and feels unable to campaign for something he does not in his heart support. Comrade Corbyn’s conscience is troubling him as he knows that a victory for the Remain side will help Labour as the Tories will not recover from this. Comrade Corbyn is however worried because things are looking ominous! Comrade Corbyn is a very experienced politician. To him the current opinion polls are not harbingers of joy! Of course one of the things that irritate many people about elections in the UK is that so much of the media comment is about the results of opinion polls and not the issues. It is all guesswork! Nobody actually knows! It’s the same as “Which horse is going to win the race?” Fools actually put money on these things. But then, that is the trade of the “turf accountant”, parting the aforesaid with their money! Notwithstanding the above criticism of opinion polls, Comrade Corbyn is fully aware of two factors the British Gazette has drawn the attention of it’s readers to in the past. The first is the danger (for the Leave side) of any lead that they may acquire in the opinion polls will result in negative reactions in the stock market and the currency markets. This would be jumped on by such as Mr Osborne and his sidekick Mr Carney as evidence of how damaging Brexit will be. This would immediately affect the poll ratings for Brexit to the advantage of the Remain side. So far, this has not happened as the polls have shown the Remain camp ahead. Political observers lacking Comrade Corbyn’s experience will be assuming that a Remain victory is on the cards. Comrade Corbyn on the other hand is worried. This is because he knows that in this particular election there is a second factor to be considered which is going to decide the vote: differential turnout. Comrade Corbyn knows that although support for the Remain side is stronger in the young, support for Brexit is stronger in the old and it is the old who vote. But Comrade Corbyn also knows that whilst this particular differential can be applied generally, there is another differential that is particular to the EU Referendum. That is a differential driven by commitment. Comrade Corbyn knows that those supporting Brexit are generally much more committed (and therefore much more likely to vote) than those supporting Remain. This is a factor that both sides have admitted to. The Remain side are rightly (for them) worried that if the gap between the polls is not significant then they may well loose because more Leavers visit the polling stations than Remainers. So, let us (for the sake of idle speculation) apply a differential weighting. Suppose of the 53%, 60% vote and of the 47%, 80% vote. Here is the result: 53 x 0.6 = 31.8 and 47 x 0.8 = 37.6. Now, we have absolutely no evidence whatsoever on which to base the weightings of 60%/80% – they are simply figures picked out of the thinnest of thin air. They do serve to illustrate the point though. The BIG danger for the Brexiteers is that their supporters seeing the lead for Remain camp will be disheartened and they will not vote!